Maybe the city of Chicago is getting more aggressive in issuing parking tickets. Maybe the need for revenue is increasing the activity of agents on the streets. Maybe there are simply not enough parking spots and it is leading people to park where they shouldn’t. 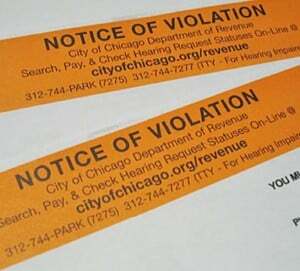 Whatever the reason, the increase in parking tickets is leading to huge debt situations for the Chicago citizens. 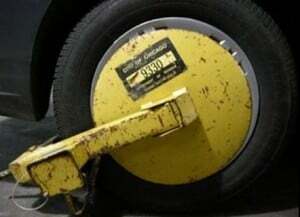 When people fall behind on parking ticket debt owed to the city of Chicago, they find themselves on the boot list. 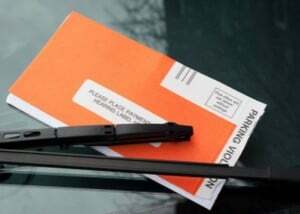 They also find that their drivers’ licenses can be suspended for failure to pay parking tickets. In both of these situations, there is a great solution to get a handle on the problem. The person who owes the money meets with a chapter 13 bankruptcy attorney and they discuss possible repayment plans. The bankruptcy attorney is going to want to know the income, expenses, assets and liabilities of the person filing. By looking at the budget, the attorney will have a good idea as to what the debtor can pay each month to a chapter 13 trustee. It may turn out that the parking tickets get paid 10% or less than what is owed. In some cases, the debt may get paid back in full, however, over a 60 month period. In either event, chapter 13 bankruptcy provides relief that the debtor would not otherwise be able to obtain. The entire time that the debtor is in a chapter 13 repayment plan, he is removed from the boot list and his driver’s license is reinstated once again. If the debtor fails to make timely payments and the case gets dismissed, then he may find himself right back on the boot list and he may be suspended again losing his driving privileges. It seems that the city is punching hard in terms of issuing tickets and accelerating the fines and the citizens are punching back by filing chapter 13 bankruptcy and paying less than what is owed. If you are worried about debt owed to the city of Chicago for parking tickets and you simply cannot afford to make installment payments directly to them or to pay them off in full, then you may want to think about exploring chapter 13 bankruptcy as an option. I met with a woman yesterday who owed over $14,000 in parking tickets to the city of Chicago. After meeting with her and after discussing chapter 13 bankruptcy in detail, I estimated that she would pay approximately $1,400 back to the city over a period of 36 months. This dollar amount being repaid back amounted to $40 per month as apportioned to the city of Chicago for parking tickets. This reduced payment was an unbelievable relief for her in that she would not have to worry about the boot list and she will not lose her driver’s license. The payment plan was affordable. The payment plan was legal under chapter 13 bankruptcy. The advice was life changing.